IMM, a leading event that enables travel and tourism brands to meet the media, will return to London’s QEII Centre on 12 March 2018. The one-day show will take place Westminster’s QEII Centre, the largest dedicated conference and exhibition space in central London. Organised by TravMedia, IMM is an unrivalled networking and relationship-building opportunity for journalists and travel brands, and exhibitor booking is now available. This year’s event IMM 2017 attracted 160 exhibitors ranging from Abu Dhabi to to Wow Air and editors and senior writers from publications such as the Daily Mirror, Daily Star, ELLE, Good Housekeeping, Lonely Planet Traveller, MailOnline, Marie Claire, The Guardian, The Sun, The Telegraph, The Times, Travel Weekly, TTG and Wanderlust. The event also sold out, prompting TravMedia to advise customers to book their 2018 places early. 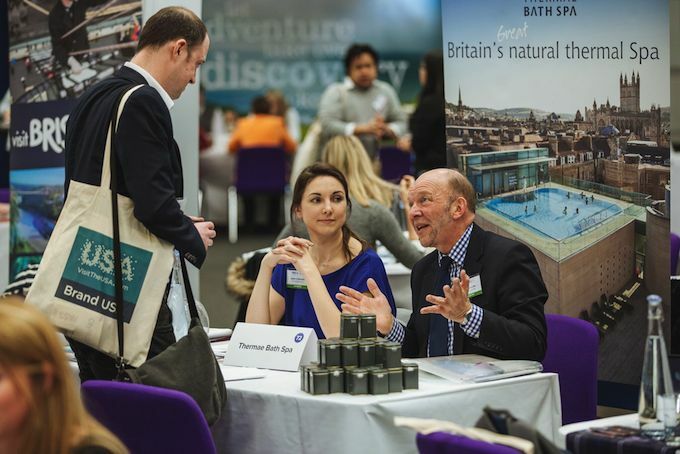 Exhibitors attending IMM enjoy a dedicated branded table from which to brief leading travel journalists, editors and broadcasters in 15-minute meetings, providing them with everything from feature ideas to press trip opportunities. Exhibitors at IMM 2018 will also benefit from an enhanced exhibitor package including features such as social media promotion and inclusion in pre-event communications. Media registration for IMM 2018 will officially open on Wednesday 1 November 2017. Meetings can be pre-booked via IMM’s Meetings Manager site, with more than 6,600 such appointments made for 2017’s event. Journalists can either pre-schedule meetings or visit the exhibitor tables they wish.